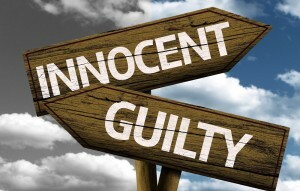 Reasonable doubt exists when a judge or jury examines all of the evidence presented in a case and is still uncertain if the facts support the claim. This concept is how factfinders determine the innocence or guilt in a criminal case and how criminal defense attorneys ensure the fair assessment of his or her client. Reasonable doubt played a role in the following case that was appealed. Neighbors called law enforcement officers to a domestic disturbance issue during which the officers were greeted by an armed man. A recently-used meth pipe sat close to him while marijuana and rolling papers were visible in the kitchen. This prompted the officers to obtain a search warrant that, after it was approved, allowed them to examine the man’s home and belongings. They discovered meth and marijuana in a bedroom, but the man claimed that the drugs belonged to his ex-wife with whom he shared the home. The officers also found a stolen gun in his car and accused him of theft by receiving stolen property. The original court found him guilty of possession of methamphetamine and less than an ounce of marijuana as well as theft by receiving stolen property, and the appeals court agreed with the first two convictions. It reversed the last conviction, however, explaining that having a stolen item is insufficient grounds for the charge unless it can be proven that the possessor is aware that the item is stolen. In other words, reasonable doubt existed in that the man may not have been aware that the gun was stolen.